Side webbing is configured to mate with our A3SB Saddle Bag, which allows you to increase the capacity of the pack by adding up to two of these 3-liter pockets. 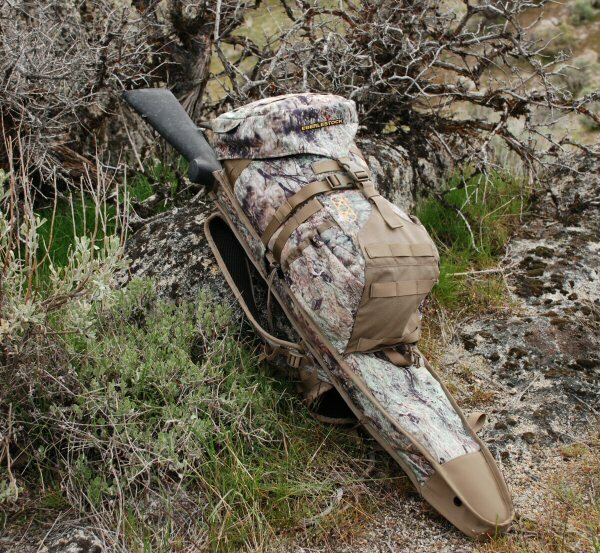 Designed primarily for rifle and/or shotgun hunting, this pack is a single-piece alternative to the H1 Mini-Me with A2LS Scabbard package. 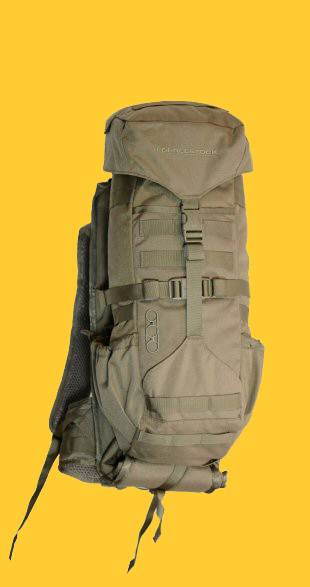 The Gunrunner's scabbard folds and clips into the bottom of the pack when not in use, leaving the upper portion of the scabbard available as a large pocket.